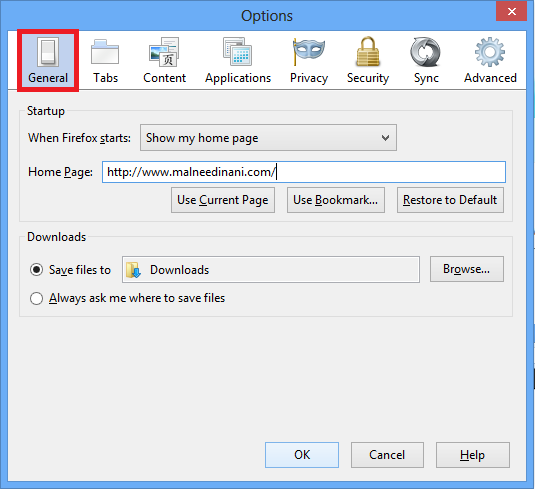 In Firefox it's very straightforward how to change a location of the downloaded files. There are 2 options you can choose. Just carefully follow the steps and you will do fine. 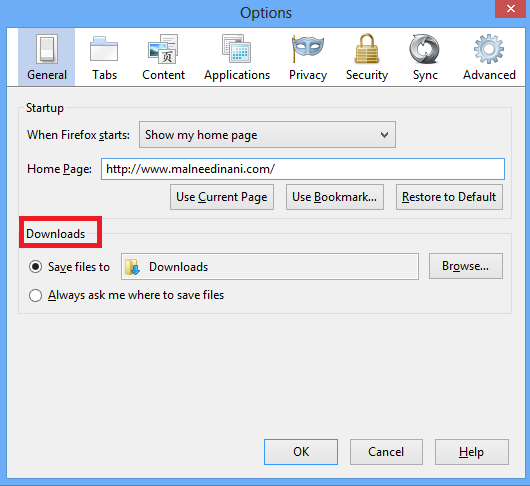 Step4: Find the "Downloads" section, where you have 2 options to manipulate the location of the saved filed. LETS LOOK AT THE 1ST OPTION. 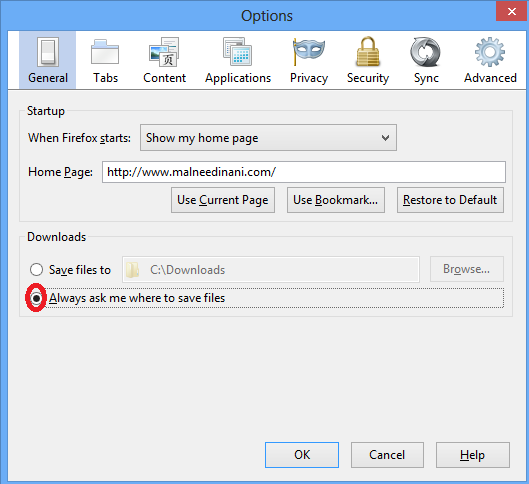 Step5: Mark a box "Save files to" as shown on the image. 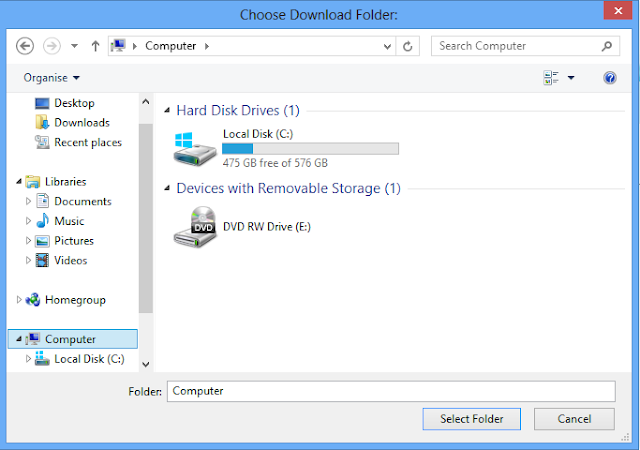 Decide for yourself which folder you want to save the downloaded files in. 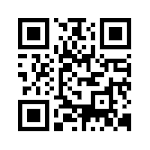 For instance you decided to store your files in the "Downloads" folder.. Click a Browse button. 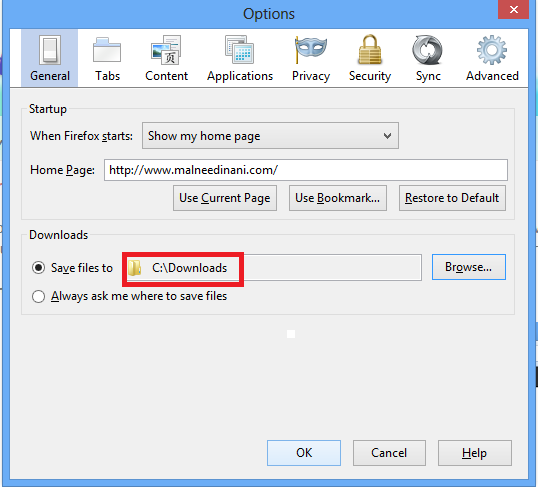 Step6: Find "Downloads" folder which can be usually found here: C:\\Downloads. Highlight the folder and finally click 'Select folder' button as shown on the image. Step7: It will place "Downloads" folder name into the little window. Step8: Click 'OK' button to save your setting. Now LETS LOOK AT THE 2ND OPTION. 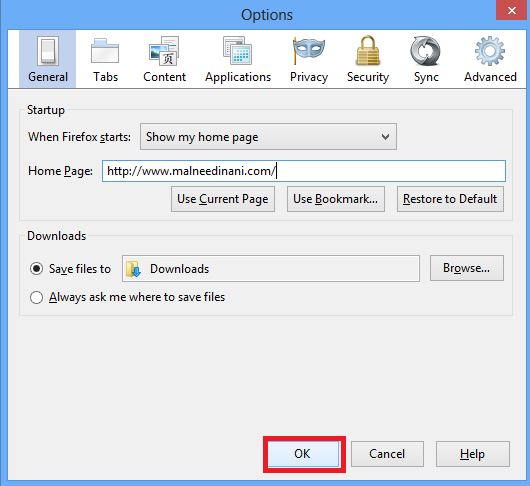 Step9: Start from step 3 and at this time mark "Always ask" box as shown on the image. 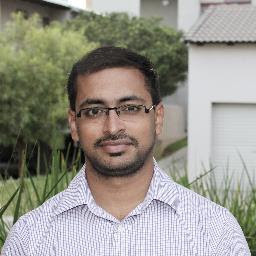 It means that every time you download a file the computer will ask you which folder you want to store this file in.